SINGAPORE (ICIS)--China’s domestic low density polyethylene (LDPE) prices have fallen to their lowest level in nearly five months and may continue their downtrend in the near term because of ample spot availability and lukewarm demand. On 19 December, prices were assessed at yuan (CNY) 10,025/tonne ($1,517/tonne) EXWH (ex-warehouse) east China, down by 10% from 6 September, hitting the lowest level since 24 July, according to ICIS data. Supply of LDPE in China have increased this year, with a total of 520,000 tonnes/year of new capacity came on stream and few unit turnarounds during the second half. In January to November 2017, domestic LDPE output totaled 2.33m tonnes, up by around 13% from the same period last year, according to ICIS data. Domestic prices are also being weighed down by increased imports of the material amid plant start-ups overseas since September, traders said. In the first 10 months of 2017, China’s LDPE imports totaled 1.92m tonnes, up 17% from the previous corresponding period, according to official data. Imports accounted for around 45% of total LDPE consumption in the country. The increased imports were linked to start-ups of LDPE plants in India and the US. Reliance Industries Ltd (RIL) brought on stream a 400,000 tonne/year plant in Jamnagar, India, in October; while Dow Chemical commissioned a 350,000 tonne/year facility in Lousiana, US, during the third quarter. Consequently, domestic LDPE suppliers have been cutting offers to offload cargoes and compete with imports. On 18 December, PetroChina was offering LDPE cargoes in east China at CNY10,150/tonne, down by CNY800/tonne from 6 September. On the demand side, consumption in downstream agricultural films has turned weak since November, when the harvest season in northern parts of China came to an end. Demand for packaging films, meanwhile, has been fully satisfied by current supplies. 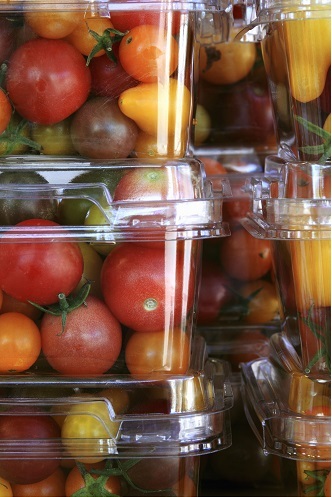 LDPE is mainly used to make a variety of packaging films and agricultural films in China. Next year, the decline in LDPE prices may slow down with no additional capacities expected to come on line.